Reginald Austrie, Housing Minister and MP for Cottage, may need a little help from his friend, the PM. "I'm very, very, very close to the prime minister." Who needs to worry about competition from an inconsequential mote? "I have a very, very good relationship with the prime minister." Who needs to fret over a modern day serf, hopelessly seeking to tether himself to a neo-seigneur? "As of now I'm the candidate." Ah, the bravado displayed by Reginald Austrie, the housing minister and MP for Cottage. 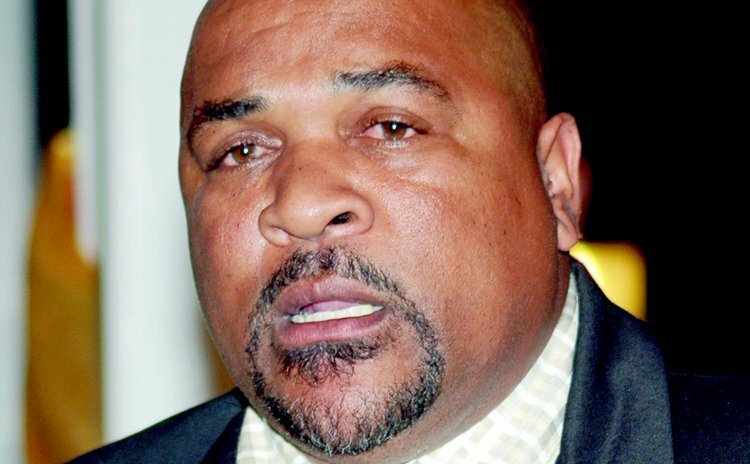 Austrie displayed quixotic swagger and eupeptic optimism when questioned by the Sun about the chances of him being replaced as the Dominica Labour Party (DLP) candidate in the next general election. However, during the recent budget debate, the no-nonsense MP thought it necessary to make an impassioned case for his job, defiantly stating that he would not be subjected to a contest to be the candidate. "I shall not be part of no primary. I can tell you that, Madam Speaker," the long-standing MP said at the time. "There are powers that can decide otherwise but I will not be part of any primary in the Cottage constituency." The minister did not say what prompted him to make that statement or who the "powers" were who could get in his way. However, he has since told The Sun that he did it to ease the concerns of his constituents. "I had to reassure my constituency. People are asking, they want to know what is going on, so it was to reassure them," he said. Austrie made no reference to Mervin Paul, the man who The Sun reported in April, was contemplating challenging him for the right to represent the DLP in Cottage. And, according to a person familiar with developments within the DLP, the Cottage MP has even greater reasons to worry. "It appears Reggie is getting pressure from within. The Prime Minister is putting pressure on him, telling him he wasn't doing his work," said the person who, in the past, considered contesting the general election on a DLP ticket. This might explain why Austrie also used the budget debate to make a strong defence of his performance. "Everything that happen in that constituency, me that do it, for the last fifteen years…everything, Madam Speaker, everything," he told the House, listing several projects like sea defence works and other infrastructural development projects that were successfully completed in the constituency. However, according to the source, a period of discontent has elicited murmurings from malcontents, leading to Paul's interest in the seat; an interest, various sources have contended, would not have been expressed without the prime minister's blessing. The very prime minister who "a very, very good relationship" with Austrie. But Austrie, whose loyalty is incorrigible, defended his leader, suggesting that Roosevelt Skerrit would never engage in a plot to undermine him or to cast doubt on his achievements in the constituency. "I have a very, very good relationship with the prime minister and I can categorically deny that. If that was the case he would have told me. The prime minister trusts me, my constituency is not one that is under review," he told The Sun. "As political leader, you look at some constituencies … and you have to make that decision. But as far as the Cottage constituency is concerned it is not under review. I don't think there is need for review of the Cottage constituency and that is not true." The suggested challenge to the Cottage MP has baffled persons familiar with the DLP, including the source who spoke to The Sun. "Reggie is seen as a stalwart of the Labour Party. When you hear Reggie Austrie you are talking of the heart of the Labour Party," said the person, who asked not to be named because of his relationship with all the parties involved. However, a devout DLP faithful, Austrie seemed willing to compromise for the good of party, if not for country. "I'm a disciplined party man, if the party discusses it and thinks otherwise, then I am prepared to discuss it, but for now I am the candidate. And if for any reason I'm asked by the prime minister not to contest the Cottage constituency, if it's in the best interest of the party I will do it," he said. But, with such an influential friend in high places, why worry?